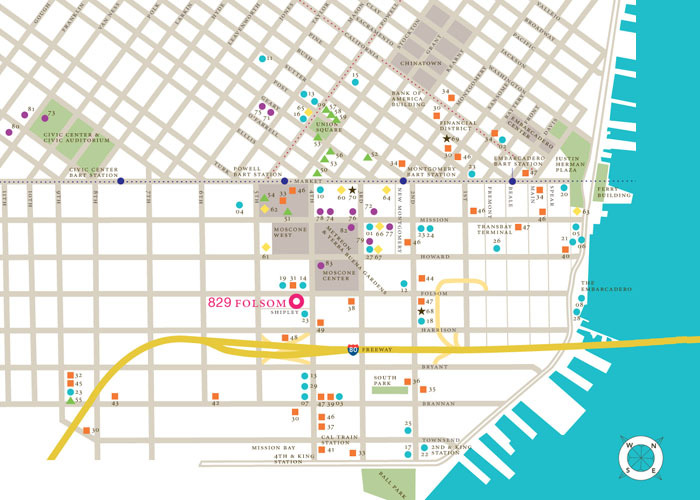 829 Folsom is located adjacent to the exciting SoMa Arts District, just steps away from Yerba Buena Center, SF MoMA, the Contemporary Jewish Museum, MOAD and much more. Walking distance to the Financial District and Union Square, 829 Folsom offers homeowners cosmopolitan convenience at your doorstep. Surrounded by countless restaurants and fine food markets, such as Whole Foods and Bristol Farms, 829 Folsom blends the convenience of San Francisco downtown living with the enjoyment of experiencing some of the finest arts organizations in the country. It's all here at 829 Folsom.